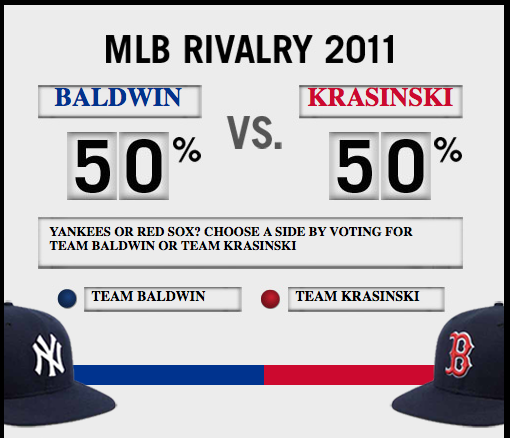 I just want to take a moment to comment on how much I love the Yankees vs. Red Sox/Alec Baldwin vs. John Krasinksi commercials. These ads, while not overtly obvious, are actually for the New Era Cap Company. Now, I have to admit that I’m not actually much of a sports fan. I like the Yankees, but that’s simply because I’m afraid that if I didn’t like them my family would have disowned me by now. Both my father and step-father are hard-core Yankees fans, not to mention my 91-year-old Grandmother’s team devotion (which I’m convinced is partially due to her crush on Derek Jeter). I have therefore grown up rooting for the Yankees, which according to these commercials makes me Team Baldwin– perfectly alright to me. I love both the actors involved, and I love the whole campaign even more. Whether you’re a rabid sports fanatic, an occasional viewer, or a family-forced fan like myself, these commercials are hilarious and fun. Checking out the New Era Cap Company’s Facebook page, you can find even more information about the company and their campaign. You can even vote for which “team” you are on– and it’s quite a close race. At the time of this post, the loyalties were tied 50/50! So maybe, like me, baseball isn’t exactly your thing. Well, lucky for the rest of us, Alec Baldwin and John Krasinski, especially when put together, are quite fantastic. Here is the latest commercial, which prompted this post. Too perfect. It is a universally acknowledged truth that rush hour traffic is absolutely despicable bumper-to-bumper traffic is the worst, and traffic jams are the bane of all drivers’ existence. Taking this into mind, Coca-Cola decided to live up to their motto and “spread the happiness” to a situation teeming with displeasure. To promote their new, smaller sized Coke Minis, Coca-Cola transformed a highway in Bogotá, Colombia into an outdoor theater. Models were hired to hand out typical movie theater refreshments– popcorn, nachos, and of course the new Coke Minis– to the lucky drivers stuck in traffic. A screen was erected to show a film, synced with a radio station for the accompanying soundtrack, giving drivers the full movie theater experience. It seems foreign to see so many smiling faces in bumper-to-bumper traffic, but it’s certainly attention-grabbing. In fact, this is probably the only example where drivers weren’t in a rush for the traffic to start moving again. Let’s face it, car rentals are super cool! Or at least that’s the message Hertz is trying to get across with their latest campaign. 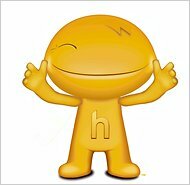 Like so many companies before them, Hertz has decided to introduce a mascot in an attempt to spice up their image. Said mascot is named Horatio (see below) and is voiced by Owen Wilson, right on the eve of the release of Wilson’s big movie, Cars 2 (convenient timing). While getting a big name celebrity to help out is pretty awesome, the mascot itself seems a bit one-dimensional and lackluster. Then again, perhaps judgment shouldn’t be passed until we see the little guy in action. Further adding to the campaigns intrigue is Tucker Gates, the man Hertz has gotten to direct these above mentioned commercials. While his name isn’t household knowledge, the shows on which he has worked certainly are: The Office, Parks and Recreation, and Weeds. The target public for this campaign is defined as “20-something-year-olds,” an interesting choice and always a tricky market. While most car companies rent to those only 25 and older, Hertz has recently instituted a policy allowing for those as young as 20-years-old to rent for additional fees. In association with Horatio, Hertz is introducing two live characters, Brake and Gas, who will also appear in a series of funny tv spots. For more information on both of these extensive campaigns, visit the website or check out the article from The New York Times. Fun fact: Horatio, the mascot was named after Horatio Nelson Jackson, a physician who was one of the first people to drive a car across the United States. While I personally do not watch Jersey Shore, I have unfortunately been subjected to a few episodes due to my friends’ obsessive fascination with the show. During the off seasons, I am treated to ridiculous phrases and catcalls, all said in a terrible fake jersey accent. I hate to admit it, but these ridiculous little sayings become quite catchy…annoyingly so. The other day I stumbled across the following video. Playbill has created a hilarious short series called “Jersey Shore Gone Wilde.” To promote Oscar Wilde’s great play The Importance of Being Earnest, now showing on Broadway, these professionally trained actors can be seen reciting lines from Jersey Shore episodes in the style of the great playwright. British accents? Check. Cheeky conversation? Check. Pencil Mustache? Check. Outfits that Oscar Wilde himself would covet? Double Check. I shamefully recognized many of the references, but I have to admit that the quotes didn’t seem half so terrible when spoken in a proper British accent. In fact, some of the sounded half-way intellectual– then again, I may just be going crazy. So what do you? What would Wilde think? And don’t forget to check out all of the videos in the series! Remember this post? Where I gushed on and on about how neat it was that Denny’s was doing a web series for their social media campaign? I mentioned that DumbDumb, a group started by actors Jason Bateman and Will Arnett, was responsible for the videos. Apparently, however, I failed to dig further and discover the true group responsible for bringing this hilarity to the web. Then, yesterday, I attended a guest lecturer at our school–an alumni who has made quite a name for himself in the marketing and advertising industry. His name was Peter McGuinness and his company is Gotham Inc., an integrated marketing company. The presentation was spectacular and thought-provoking, and while it’s hard to pinpoint a favorite part, I was especially interested when McGuinness started talking about Gotham’s own work. Lo and behold, they were the masterminds behind the Denny’s campaign. McGuinness and his group were given the daunting task of completely revitalizing a great American brand that had lost its heat. Focusing on the idea of “openness,” the group enlisted social media, marketing and advertising. The success was evident and the media were enthralled. Social media is more than a fad. It is pervasive and powerful– and here to stay. Brands have become democratized: The consumers are in control and companies must work to “earn” their time. The foundation of a successful brand/consumer relationship is reciprocity. When executing a campaign, truth is more important than ever. It’s important to remain curious, personally and professionally. Broaden your perspective and horizon. While I never got to ask the most burning question on my mind (Is your company’s name a reference to Batman? ), the event was certainly valuable. In the end, it got me all the more excited to enter the career world! Years ago, the concepts of tweeting, poking, and tumblr would have just seemed like derogatory terms. Certainly not actions condoned by the Church. There’s no denying that life is not the same as the world depicted in traditional holy texts; but now, in the changing world, religion has found its own use of new media. While the Vatican has long embraced social media such as YouTube and FaceBook in an effort to stay relevant in a media manic society, smaller factions have only recently come to discover the possibilities of the world-wide web. A group of Benedictine monks residing in Portsmouth Abbey in Portsmouth, R.I. have turned to the internet to solve a problem of their own. Totally 12 in all, the monks are aging, with five octogenarians and the youngest being a nimble 50. While their peak numbers were no more than 24 in 1969, the monks still feel an added isolation that has kept modern-day society from inquiring about their faction. The monks have hired Partners and Simons, an advertising agency, to help recruit members and instill interest in the Abbey. 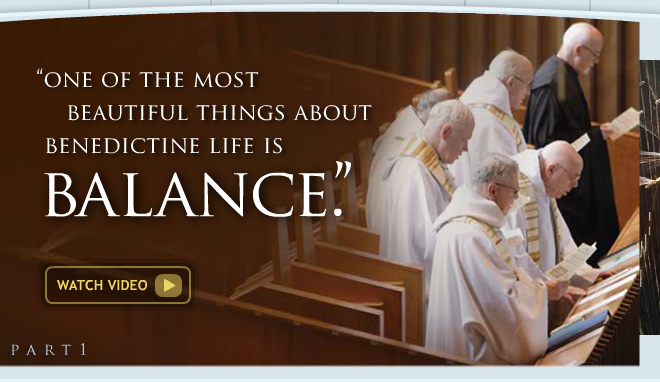 Their campaign involves an ad campaign featuring videos, blogs, and even a Gregorian chant ringtone for those true devotees. The campaign revolves around portraying the monks as approachable and friendly. On their Facebook page, they have uploaded photos and testimonials. A new website has also been set up and answers questions the public might have, specially in relation to becoming a monk. This is a Creepy Advertising Appreciation post. In particular, I would like to honor Skittles, Cheetos, and Burger for their spectacular output of weird. Since its introduction to the market in 1979, Skittles candy has successfully branded their product with the catchy slogan “taste the rainbow.” The phrase has been a classic in both the candy and advertising agencies, but times change and the colorful candy needed to make its latest mark on the consumers in order to stay relevant. Enter creepy ads. We’ve all seen them. For years, the slightly disturbing Skittles advertisements have graced our television sets, leaving us with a shiver and a craving all at once. From the man with the Skittles-touch, to the anthropomorphic beard, the crazy concept have been seared into my mind. Then, in April 2011, Skittles made their odd commercials viral, launching a series of “Interactive YouTube ads.” Perhaps the best known is the Skittles Touch Cat. Prefaced with the latest slogan: “Touch the Rainbow,” viewers are treated to a seemingly interactive video. As the user holds their finger to the screen, an adorable furry friend approaches and licks the screen. The disturbing part comes when that furry friend is replaced by a freaky friend, more specifically a grown man dressed as a cat, who then proceeds to continue licking your finger. It’s just…odd. And yet– congratulations to Skittles, because they have cornered what I consider a niche market of odd advertisements. Other members of this bizarre group include the infamous Burger King ads and commercials featuring Chester Cheetos uncomfortable advances on human women.